Chili is a great cowboy tradition celebrated at this West Texas town. Chili fans who visit Terlingua, Texas may be overwhelmed with options when they come to this famed chili cook-off in early November. That's because it's actually one of two chili festivals, with the Terlingua International Chili Championship taking place at the same time, the result of a schism among cook-off organizers. "Don't ask," said Kathleen Tolbert Ryan, the president of the original cook-off. "It's a long story." 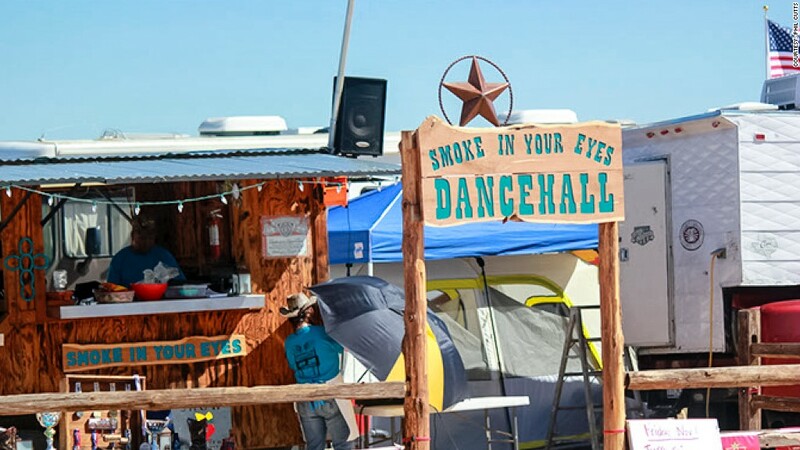 The festival features a golf shoot-out in nearby Alpine, Texas, live music, a margarita mix-off and, of course, chili of all varieties and heat levels. Terlingua is in Chihuahua Desert country, a desolate and lightly populated area. Nearby, in Big Bend National Park, the Rio Grande has cut a canyon through limestone and sandstone hills. Many of the festival's 2,000 or so attendees also embark on river rafting trips.